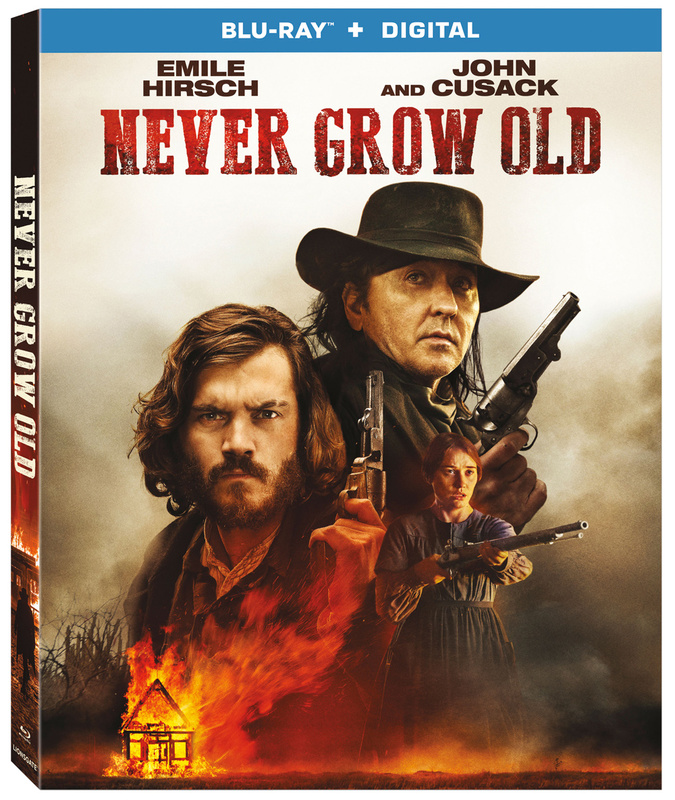 Lionsgate Home Entertainment has announced the date and released artwork for the western-drama, Never Grow Old starring Emile Hirsch and John Cusack. Click on the link below or image to the left to check out the features and artwork. 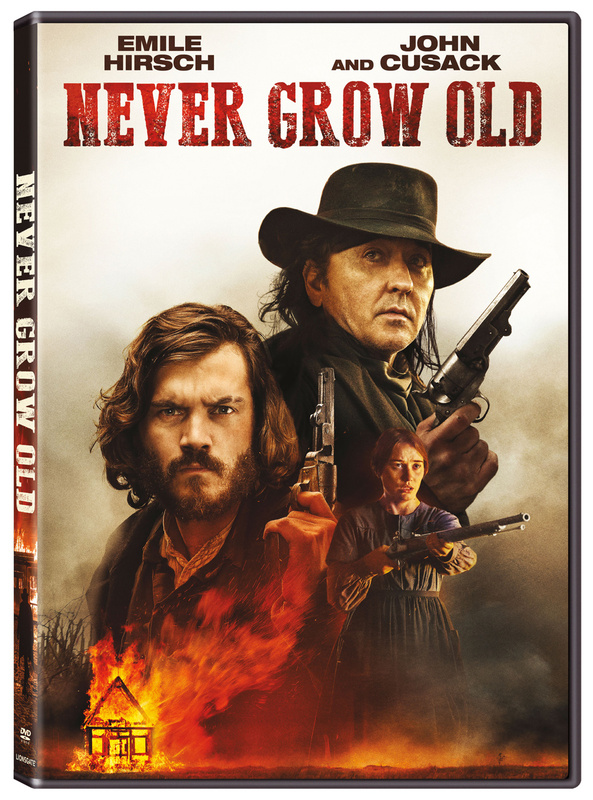 A gritty, violent take on the American Western comes home when Never Grow Old arrives on Blu-ray (plus Digital), DVD, and Digital May 14 from Lionsgate. This film is currently available On Demand. Golden Globe nominee John Cusack and Emile Hirsch star in this action-packed Western about a vicious outlaw who takes over a peaceful frontier town, leaving debauchery, greed, and murder in his wake. The Never Grow Old Blu-ray and DVD will include a never-before-seen making-of featurette and will be available for the suggested retail price of $21.99 and $19.98, respectively. Debauchery, greed, murder — welcome to Garlow. The once-peaceful frontier town is now a den of vice after vicious outlaw Dutch Albert (John Cusack) and his gang arrived—and began gunning down their opposition. Undertaker Patrick Tate (Emile Hirsch) must choose between the blood money he makes burying the murderers’ victims and the threats he and his family face in this intense action-drama.